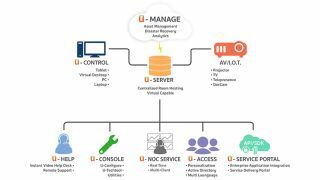 Utelogy, a leader in software for control, management and analytics of audiovisual systems for business and education, has recently signed representative agreements with Western Rep Associates and The Enright Company. Dave Herget, Principal, Western Rep Associates will provide representation for representation in Northern California, Oregon, and Washington state. The Enright Company, with founder and principal Logan Enright and his team, will serve Southern California and Southern Nevada, Arizona and Hawaii. With the western United States now supported, Utelogy has a national footprint of highly experienced and well-known representation. BP Marketing of Minneapolis, MN serves a central Midwest territory covering Minnesota, North Dakota, South Dakota, Iowa, Nebraska, Kansas, Missouri, Wisconsin, Illinois, Indiana, Michigan, Ohio, Kentucky, Colorado, New Mexico, Utah, and Wyoming. Symco Inc., headquartered in Stirling, New Jersey, serves the Mid-Atlantic and Northeastern states as well as Atlantic Canada. ProVideo Solutions, in Austin, TX, represents top manufacturers of AV technology for integration with businesses, organizations and public enterprises throughout Texas, Oklahoma, Arkansas, Louisiana, and Mississippi.